The 2020 Soul has a sleeker design, more power, a better ride and more models. There are now six trim lines: the LX, S, X-Line, GT-Line, EX, EX-Designer Collection and that does not include the Soul EV. SAN DIEGO – It doesn’t seem like it has been around that long but we’re about to get a look at the third generation of the Kia Soul. This car has defied all odds. It struck a chord with consumers and Kia parlayed an innovative advertising campaign that corralled the public psyche and turned this vehicle into near icon status. 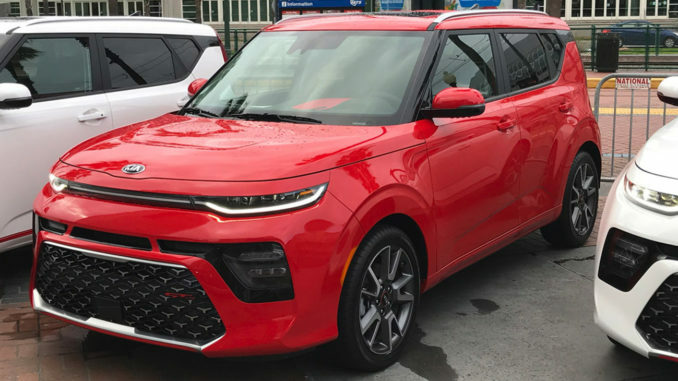 The 2020 Kia Soul maintains its boxy shape; I don’t know that it would be a Soul without it. And Kia continued to call it an urban runabout. It has virtually annihilated its competitors but more in the form of crossovers are here and are or on their way. What Kia wanted to do with the next generation was to keep the Soul fun to drive, functional and funky. They pretty much hit all three marks. There were two engine choices. A 2.0-liter normally aspirated four cylinder made 147 horsepower and 132 pound-feet of torque. 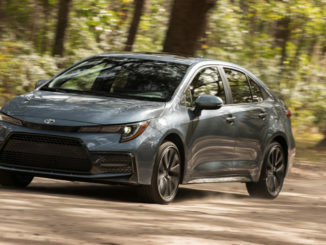 It could be mated to a six-speed manual transmission or what Kia has branded as an Intelligent Variable Transmission, Kia’s in-house developed CVT. With the I-VT it got 27 mpg in the city, 33 mpg on the highway and 30 mpg combined. The first thing I noticed when we got in the 2.0-liter was that it didn’t have push button start stop nor entry. Still, the engine was relatively smooth and quiet. The new Soul was certainly comfortable and roomy. I found the transmission to be pretty good. The I-VT simulates gear shifts and that got rid of the monotonous drone and rubber band feel that accompanies most CVTs. The 147-horsepower engine did work to get the car up and over a couple of steep hills and they were not that steep. The 1.6-liter twin-scroll turbocharged direct injected four-cylinder engine made 201 horsepower and 195 pound-feet of torque. It was mated to a 7-speed dual-clutch automatic transmission. This engine got 27 mpg in the city, 33 mpg on the highway and 30 mpg combined. We drove the turbo back from lunch. This car had power. The dual clutch was sharp. We got lost more times than I’m going to admit. But it gave us a chance to test the Soul’s maneuverability in the form of U-turns. The new Soul’s turning radius was 34.8 ft. Turns were tight on the way back, but I never felt the frame warp during the tight turns or handling the twisting two lane state roads here. The frame was 35 percent stiffer. I climbed into the back seat and found lots of room. Because the Soul is front-wheel-drive, the floor in the rear of the passenger compartment was almost flat. There was a sport-tuned suspension and with the seats folded the Soul had 62.1 sq. ft. of cargo space. The interior of the car was sharp; the infotainment screen dominated. The 1.6-liter had heated seats, a heated steering wheel, push button start stop and it also had a sunroof. Although the 2020 Soul had the same silhouette and stance as the old car, the headlights had been narrowed. And the three-dimensional wrap around LED taillights that were added looked like reverse boomerangs that formed ribbons. 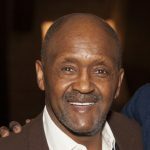 They narrowed the front headlights and the daytime running lights ran the width of the car and formed a thin ribbon under the headlights. There was a larger grille with a two-tone treatment. They added some heft to the front fenders and there were three roof rack mounting points. The C pillars were designed to look like airplane wings, but I couldn’t see it. There was also a new Soul graphic on the C pillar. Kia turned up the volume on the Soul’s audio system. The interior space continues to evolve in terms of sound. Available mood lighting emitted soft light from the center door panels and a 3D pattern surface was on the upper door panels. That light can synchronize the beat of the music with the interior lights. Other interior technology included a rainbow of customizable colors, wireless charging, dual automatic climate controls and the Soul’s signature tweeter speakers. The 2020 Soul was a little longer by two-inches. The width and height were unchanged but the wheelbase was a little more than one-inch longer. That inch gave the Soul a smoother ride. The new Soul picked up a little more leg room in the front and lost a little in the rear. The headroom was unchanged, so was the shoulder room in the front and rear. However, the Soul picked up 5 more cu. ft. of cargo space with the rear seats up for a total of 24.2 cu. ft. It will need it because most of its new competitors will be small crossovers. The liftgate was wider and lower making putting stuff in easier. The Soul had a dual cargo board so that it could accommodate taller cargo. The front doors were larger because of sculpted panels. What they’ve done is make a snazzy vehicle a bit more practical too. The new chassis used more advanced high strength steel than the old model and it had more hot stamped components and more structural adhesive. It is all about being connected in today’s automotive universe. The 2020 Soul had a 10.25-inch color touchscreen with split screen capability, depending on the trim line. It had a rearview monitor and parking guidance. There was Android Auto, Apple CarPlay, Bluetooth, a heads up display and a premium audio system that included 10 speakers and twice the wattage of the current car. Kia offered a suite of what it calls Drive Wise features including forward collision avoidance, lane keeping assist, lane changing assist, driver attention warning, blind spot collision warning, rear cross collision warning, smart cruise control and high beam assist. The car goes on sale this spring. Prices start at $17,490 for the Kia Soul LX 2.0-liter with the six-speed manual transmission and range up to $27,490 for the GT-Line 1.6 turbo with the seven-speed dual clutch transmission. And add the $995 freight charge.